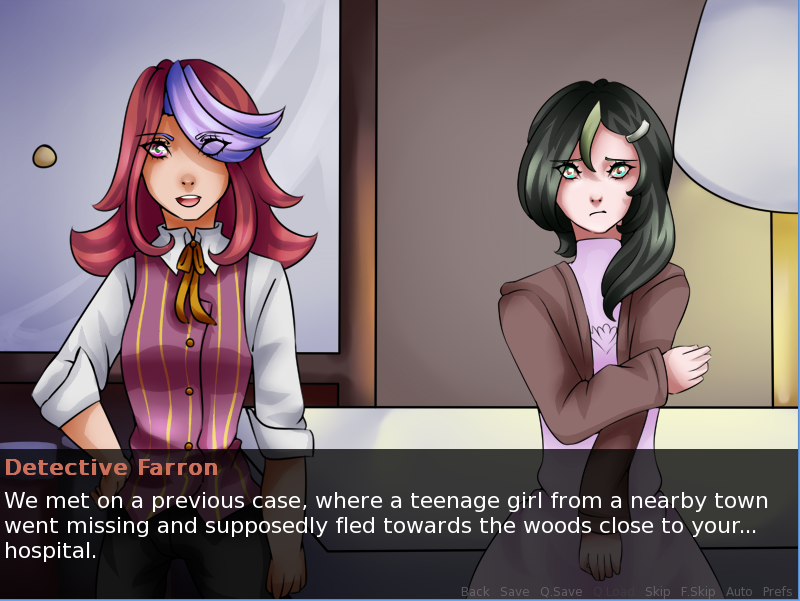 Jam entry for Ludum Dare #33 - Click here to rate it on Ludum Dare! Ever wanted to play as a cute mad scientist who is absolutely sure she's not completely crazy along with her assistant? Well now you can! 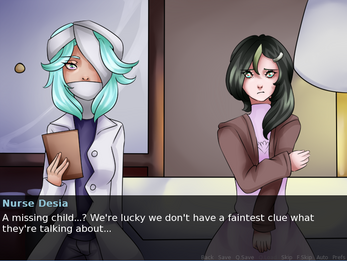 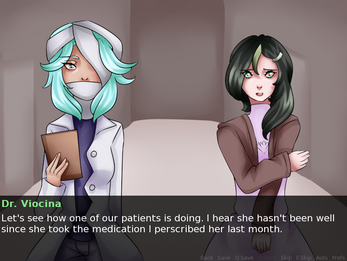 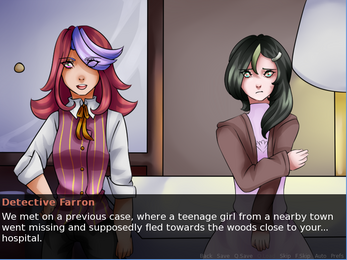 Featuring Dr. Viocina as the deranged Doctor, her amnesiac assistant Desia, and the Detective hell-bent on finding the truth Farron, this short game is centered around the happenings at a small "hospital" located in the forest after several cases of missing peoples have come in to the police department. 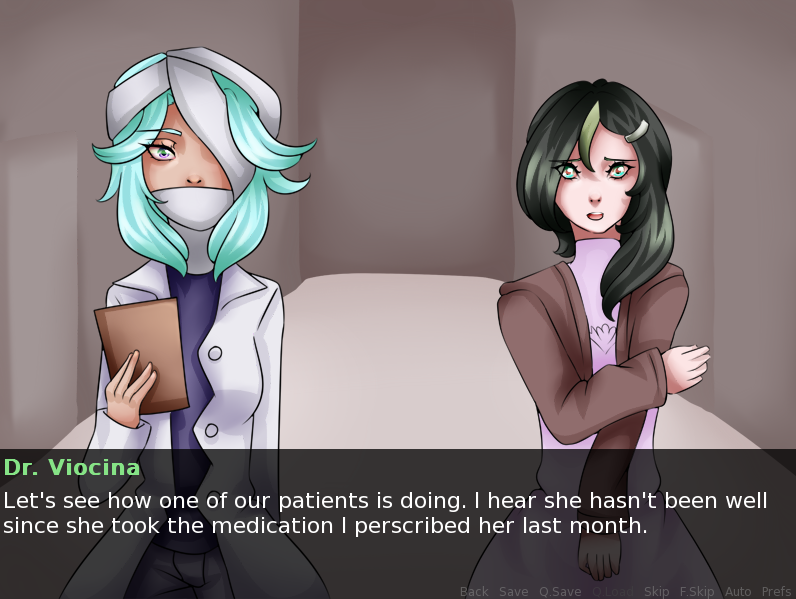 Due to time restraints I had to cut a good portion of the game out but I did leave in the randomization of scenes once you're able to pick what you'd like to do for the day- meaning replayability is a major part of this game, as there are over 10 different scenes you can get when picking what to do and there are 2 different endings! 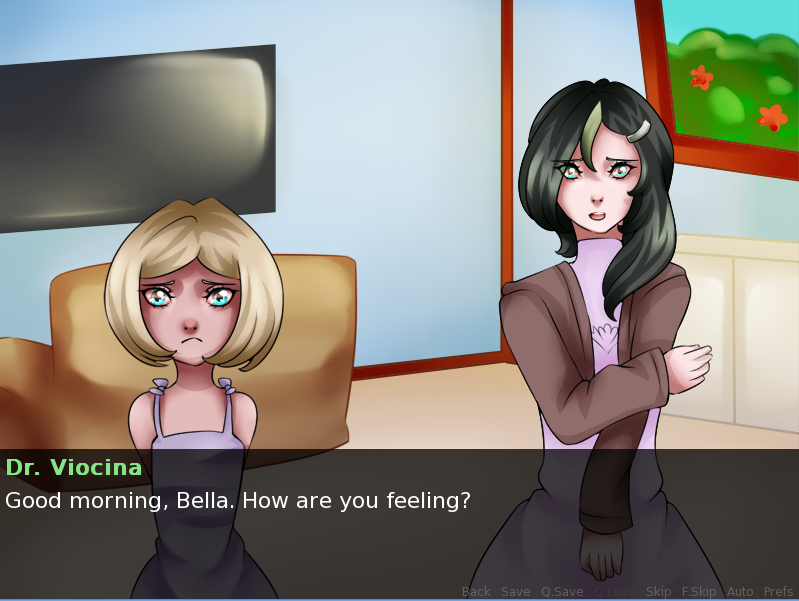 Ludum Dare is a game jam that is held tri-annually and lasts for 72 hours, meaning the story and assests here were created in less than 72 hours.